This entry was posted in Restaurants and tagged Breakfast, Cafe, from, Garden, Oregon, Portland, Shed, special on April 7, 2014 by David. This entry was posted in Restaurants and tagged BOTANIC, Chicago, Creates, Farm, Garden, largest, McCormick, Midwest, Place, rooftop, Urban on February 8, 2014 by David. 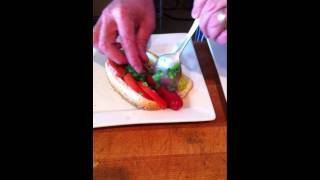 The Chicago Dawg on KnB Wine Cellar’s Menu being created in the 3 Squares Gourmet Kitchen. This entry was posted in Restaurants and tagged Chicago, Dawg, Drag, Garden, through on January 23, 2014 by David. This entry was posted in Hotels and tagged 2013, Center, Colorado, Denver, Downtown, Garden, Hilton, Hotel, Review, Room, Tech, Tour on January 8, 2014 by David. This entry was posted in Hotels and tagged Downtown, Garden, Hilton, Hotel, Hotels, Indianapolis on December 26, 2013 by David. I was attending a wedding in Rosemont and decided at the last minute to stay nearby. I couldn’t really pass up the deal I got on a room here. This entry was posted in Hotels and tagged Garden, Hilton on December 8, 2013 by David. 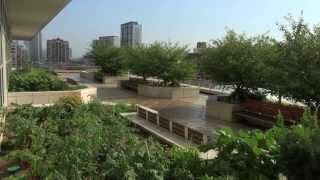 Our rooftop garden is home to four wonderful beehives! The honey they produce goes into our handcrafted beer. This entry was posted in Hotels and tagged Chicago, Downtown, Garden, Marriott, rooftop on August 21, 2013 by David.